(¸.·´HAPPY BIRTHDAY LUMBERJACK! 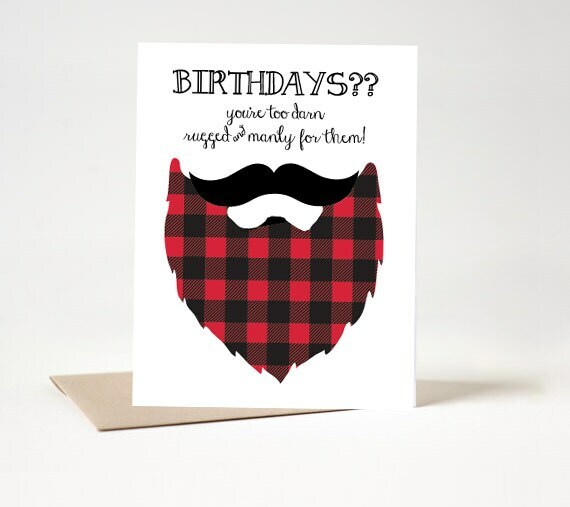 This Lumberjack Birthday Card is a unique way to say Happy Birthday to your special guy - this kit includes: 2 cards on a 8.5” x 11” PDF ★ Instructions, plus information for materials needed & paper suggestions ★ This card is an easy to print, cut and fold at home card. Finished card measures: 4.25" x 5.5"